We all know the stories of people getting fired for social media mistakes, like teachers posting rants about students on Facebook – but many small business owners don’t realize that their own personal presence online can have a detrimental effect on their business, especially when they are trying to sell. If you put your business up for sale, then the very first thing any potential buyer is going to do after signing the non-disclosure documents is Google the business and then probably Google you. What are they going to find? Let’s look at three scenarios – the good, the bad and the ugly. If you are doing everything right (don’t worry if you aren’t, most small business owners are horrible at managing their online presence – the good news is it’s fixable), then a cursory Google search of your business will turn up a complete and well-presented website with links to the social media accounts you have for your business. A complete website means that a visit to your site should reflect what a visit to your actual business would entail – so pictures, menus, price lists, what you typically have in inventory, your physical address, your business phone number, your business email address, your hours of operation, a map or directions (or both) – you get the idea. Your business-related social media accounts should be extremely professional and deal ONLY with the aspects of your business, not your personal life. A cursory search for you as the owner should turn up a professional profile on a site like Linkedin, and perhaps a Facebook page (although the page itself if used for anything other than strictly business purposes should be set to private). This good version of an online presence means that you as an owner are professional in your business dealings and are capable of bringing your business into the digital age successfully. You are using the online presence of your business to help your business grow – and this will impress buyers. If you are like most small business owners and think you don’t need an online presence to be successful, then you are in the “bad” category. Like it or not, the digital age is here to stay – so if that cursory Google search for your business brings up nothing more than a poorly designed and never maintained (basically useless) website, an infrequently updated Facebook page or nothing more than a smattering of reviews for your business on websites like Yelp – buyers will not be impressed. In fact, leaving the online fate of your business in the hands of a few unhappy reviewers can be very detrimental to your attempt to sell. If all a buyer sees are negative reviews you never addressed, they will likely wonder what other aspects of your business you have neglected. You get put in this category if you have entwined your personal life with your business life, as these types of entanglements rarely help a business or an attempt to sell a business. If that cursory search for you and your business turns up a rant-laden personal blog (or we’ve even seen rant-laden business blogs) or a personal (and public) Facebook account laced with posts and shares that reflect your personal, political and/or spiritual beliefs – this is not good. If you are very politically active, if you have strong religious beliefs, if you don’t particularly like someone in the community – you are obviously entitled to feel that way and share those views with the people in your personal life. What you absolutely, positively SHOULDN’T do is blast those thoughts and feelings anywhere near your business. You also should not have any pictures of yourself that you wouldn’t show every customer or potential business buyer the moment they walk in the door anywhere online where just anyone can see them. If a potential buyer (or customer for that matter) finds nothing online other than an angry rant-blog and unflattering pictures of you after too many drinks at the neighbor’s BBQ, they are going to wonder if that lack of professionalism extends into your business as well. The moral of the story? Just like in real life, you should keep your online personal life and your online business presence separate. Make sure your business presence online is professional and complete – then make all of your personal accounts private. This will help immensely with that all-important first impression from buyers while your business is on the market, and will also help with impressing potential customers too. Are you a business owner who is looking to sell, but never considered the online presence of yourself or your business? Did you recently Google yourself or your business and you would like some advice on how to improve that all-important first impression? Ask us! Please feel free to leave any comments or questions here and we will be happy to help. Business Sellers: Is Seller Financing Still Necessary In A Good Economy? If you are considering selling your business, then you probably already realize what a complicated process it is going to be. The best way to successfully maneuver this process is to be very flexible, and this is most important when considering whether or not you should offer seller financing. Sure, the economy is better. Much better. If you were trying to sell your business mid-recession, then offering seller financing was an absolute must as traditional lending disappeared and most buyers didn’t come with fistfulls of cash. Now there are many more cash buyers in the market than there have been in recent years, which is terrific news – but if you limit your buyer pool to only those with all-cash offers, you won’t be doing yourself any favors. Flexibility. Not every business is right for every buyer, so limiting your pool of buyers right out of the gate may keep you from selling your business quickly (if at all). This is especially true if you have a niche business that will have a hard time attracting a huge number of buyers anyway. Also, a seller who demands an all-cash offer typically gets only 70% of their asking price in the end, while a seller who is open to the idea of seller financing gets somewhere in the mid to high 80’s. Do you really want to miss out on 15% or more? Increasing your buyer pool by offering seller financing as an option also means you may have the opportunity to choose from multiple buyers and multiple creative offers – thereby creating a chance to get the best return on your business you possibly can. Yes, we would all love full-price, all-cash offers that land on our desk the day our business hits the market, but in reality a flexible seller is a seller who will actually make it to a closing table. Talk to your business broker about what amount of seller financing they think would be appropriate and what you are comfortable offering. Listen with an open mind to any offers that come in from buyers who are asking for you to finance part of the deal. In the end, it is still up to you whether you take an offer or not – just keep your options open throughout the process. Are you considering offering seller financing for your business and want to know that the terms of a typical deal look like? 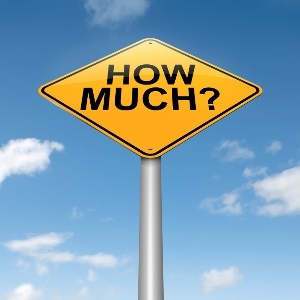 Do you have more questions about how much of a deal you should finance? Ask us! Please leave any questions or comments and we will be happy to assist you. Seller financing can make small business deals possible, as it allows buyers (who don’t have all the capital necessary or who are unable to raise funds through more traditional lending sources) the opportunity to buy a great business. Our economy is in much better shape than it was in the last few years, and as such the business market is changing. In the midst of the recession nearly all deals came with a fair share of seller financing as traditional lending was essentially nonexistent and any buyers in the market weren’t flush with cash. This was great news for buyers as they could now consider businesses that would have otherwise been out of their range. 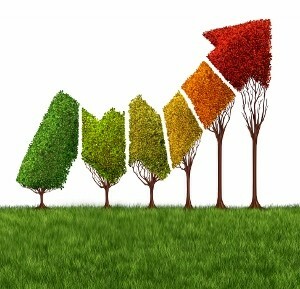 Now that the economy has dramatically improved, the tides of seller financing are beginning to turn. First and foremost, the improving economy means there are more cash buyers coming to the table that will directly compete with those who need a seller financed deal. In terms of recently completed deals, seller financing still holds as a close second to cash, but now buyers need to come with at least 50% down if they hope to compete with other buyers and get a deal to closing. There are exceptions to this rule as every business deal is different, but the days of financing more than half of a transaction are probably gone. It is also easier now than it was just a few years ago to get more traditional bank financing or a SBA (Small Business Administration) loan, but many financial institutions are still gun-shy about risky small business deals as the memories of the recession are still fresh in everyone’s mind. What if I can’t get a bank loan and the business that I’m interested in doesn’t qualify for a SBA loan, how can I get seller financing? If you are interested in seller financing, let your business broker know as it will help in narrowing your purchase options if the broker knows to look for business sellers who are open to a deal that includes some seller financing. Next, you need to be prepared to offer at least 50%, if not more, of the purchase price up front if you want any seller to take your seriously. No one is going to finance 100% of the deal or anything close to it. Do you have more questions about financing options for the purchase of a small business? Would you like to know what the terms look like for a typical seller financed deal? Leave us a comment or question here and we would be happy to help. As many business owners with older children look forward to the inexpensive help over the summer break, this may be as good a time as any to begin discussing with those children the future of the family business. My kids are just teenagers, why would I talk to them about this now? In many families, it is the parents who make many decisions about the future of their children – deciding if and where they will attend school, what type of career choices would be best for their financial future, etc. In families where a small business is involved, many parents consider the legacy of the business as another decision that they will make, one that passes down from one generation to the next automatically. The problem with this assumption occurs when your child (or children) don’t want to spend their lives running your business and in fact have dreams and passions of their own. These dreams and passions tend to take shape as children get ready for life after high school, and as such it is important for everyone in the family to be on the same page as to what everyone wants for the future. I bought/started this business so I could give it to my children, and they’ve known this since they were little. Why is there a need for discussion? In some circumstances a child who was brought up in the family business learns the same passion their parents have and thrives as the next generation of business owner when the parents retire. Unfortunately (for the parent’s plans) most children of small business owners have aspirations of their own, and those aspirations don’t involve following in mom and dad’s footsteps. If the parents in this situation don’t allow for their child to follow their own path and instead insist on handing over the family business – the outcome is usually not positive. As a business owner, you understand that it takes an incredible amount of passion and drive to be a successful entrepreneur. This life means long hours, high stress and a huge amount of personal responsibility. It can be nearly impossible to sustain that necessary passion and drive if you never had it in the first place, so many times what happens is a child takes over a business so the parents can retire only to run that business straight into the ground. How can I preserve the legacy of my family business if my kids don’t want to run it? If you have a conversation with your children about the future of your family business and it turns out that they are not interested in running it themselves, you can still continue the family legacy of entrepreneurship by selling your family business when you retire and using the proceeds to invest in a business opportunity that suits the aspirations of your children. This situation allows for the needed passion and drive to be a successful entrepreneur while allowing you as a parent to pass on the entrepreneurial legacy that you’ve built. 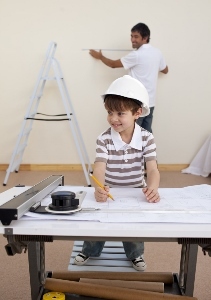 Do you own a family business you have always assumed your kids would get? Have your children expressed interest in doing something else? Would you like to know what a business like yours would currently sell for? Ask us! Please feel free to leave us comments or questions here and we would be happy to help. Here in Southwest Florida, we have a very unique business climate, but our lessons about seasonality in the business market translate to just about anywhere that sees a seasonal fluctuation. Our area is known as a fantastic place to retire and also as a family-friendly vacation spot, so throughout the year our local businesses see a fairly regular fluctuation in the amount of business they do month to month. Our beautiful wintertime weather means that from October to April our population swells as retirees from the northern states come down to ride out the bad weather in our sunshine. You can blatantly see this fluctuation if you visit at different times of the year. For instance, going to dinner on a Saturday night during “season” (October to April) means a 2-3 hour wait, go to the same restaurant in July and you will likely be one of only two tables in the whole place. What does this mean if you are thinking of buying a business in this area (or in any area with seasonal fluctuation)? It means you will need to be a bit open-minded when looking at the numbers, and compare multiple years of numbers instead of looking at only the last several months. In a place without much seasonal fluctuation the most recent numbers may be sufficient, but in our area and any like it – recent numbers won’t tell you the whole story. For instance, if you are looking at buying a business April, then the numbers from January to April will not be a reflection of the next handful of months in the summer. Likewise, if you are considering a business in September, abysmal numbers here might mean the business is doing just fine – you are only looking at the very slow summer months. How do you figure out how to navigate these types of fluctuations? Find a knowledgeable and experienced local business broker who can help you to understand the seasonal fluctuations and can assist you with determining if a business is dealing with a seasonal slump or is in real trouble overall. Another major seasonal business consideration? Keeping some cash on hand. If you are buying a business in Southwest Florida in the spring, then you had better find out how much capital the sellers have needed in previous years to weather the sparse summer and save some money for getting yourself through the lean times. Once business picks up and then explodes in the fall, you will also need to know what staffing considerations you will have to address (like bringing on new staff or bringing back the former owner’s seasonal workers). Your business broker will be invaluable in helping you ask these pivotal questions of the sellers while you are in the negotiating process, and will also ensure you have a proper training period with the former owners post-sale to cover all of the bases. Do you have more questions about how to look at the numbers of seasonal businesses? Would you like to know what types of seasonal businesses are for sale in this area? Ask us! Please feel free to leave any comments or questions here and we will be happy to help. Your first foray into the business for sale marketplace can be very challenging for a number of reasons – first and foremost that business transactions are inherently complex and as such you need good, quality help. The professionals who help buyers and sellers navigate this marketplace are called business brokers. A business broker assists both buyers and sellers – buyers with finding the right business to buy and sellers with listing their business for sale. Although the business of buying and selling businesses has very little to do with the real estate sphere, for the most part (and depending on the state) business brokers are licensed as real estate brokers. A “real” business broker also has specific insurance and industry memberships that allow them to do their jobs effectively. Why did we say “real” business brokers? Unfortunately our industry looks to those outside it as something other professionals can do on the side or as a part-time diversion. Nothing could be farther from the truth, and if you end up working with a “moonlighting” business broker instead of the real thing, then your chances of a successful transaction are slim to none. There are typically three types of “moonlighting” brokers – the real estate agent, the lawyer and the random professional. Let’s look first at the most common offender. As we said before, we are licensed as real estate brokers with the state, but that is where the similarities between a business broker and a real estate broker (or agent) end. This is by far the most common of the “moonlighting” offenders. We literally get requests every day from real estate agents who are trying to help their residential (or even commercial) real estate clients buy or sell a business. They ask us to work together with them on the deal, as their clients already know and trust them and want them involved. If your real estate agent has tried to help you in the business market or has tried to convince you that it is in your best interest for them to be involved, then you should know that any good business broker will flat-out refuse to work with a real estate agent. Why won’t we work with real estate agents? It’s really very simple. We would never try to sell one of our clients a house – it’s just not what we do. We aren’t in the residential real estate market, and we’re not in the commercial real estate market either. If that’s the service you need, then we won’t be the best help – so we would refer you to a real estate agent we know and trust. For the same reason we don’t work with real estate agents in business transactions. It isn’t what they do, they don’t have the proper insurance should something go wrong, and quite frankly they have no idea what they are doing. Selling a business is massively different from selling a house in that a house gets a sign in the yard and all of the pertinent information listed all over the internet. Doing the same thing to a business would be the kiss of death for that business. Business sales are done with the strictest of confidentiality, meaning any and all marketing materials for the business need to be created in such a way that anyone inquiring would have no idea which business they are reading about. Only after the appropriate non-disclosure documents have been signed can anyone find out the name or location of the business. Those who are given the opportunity to sign those non-disclosure agreements have also been vetted to ensure they are not someone the seller has asked be kept out of the loop, like current or former employees, the competition, etc. Why all the secrecy? There is a very powerful misconception that a business for sale is a business on the brink of failure, and as such when confidentiality is breached employees jump ship, clients and vendors cancel contracts and the competition moves in for the kill. The massive importance of confidentiality means that as business brokers there is just too much at stake for our clients who are trying to sell a business. We can’t take the chance and trust someone outside of our industry, like a real estate agent, with maintaining that confidentiality. What about my real estate agent? Aren’t they getting left out in the cold? The standard industry practice is for your real estate agent to refer you to a business broker to handle your business transaction, and for that referral your agent will get a referral fee when the transaction closes. 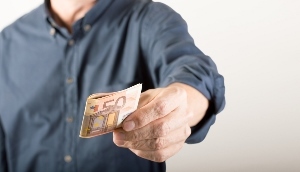 Most real estate agents don’t want to hand over their clients because they want a cut of the final transaction commission, but in reality they get a decent referral fee that is a percentage of that commission for doing nothing more than giving a client’s information to a business broker. They aren’t cut out of the deal at all, they are paid for doing nothing more than making a phone call. What if my real estate agent promises to keep everything confidential? Again, you are going to have an impossibly hard time getting any transaction through to closing with a real estate agent involved. Many, if not all, business brokers have had bad experiences with real estate agents trying their hand at what we do with no real knowledge of the industry, and as such most brokers will refuse to work with any client that brings their real estate agent along for the ride. What should I do instead? Ask to be referred to the proper professional for the job. A real estate agent with your best interest at heart will have no problem handing you over to a capable business broker, and finding a good business broker should be fairly easy for anyone in the real estate business. 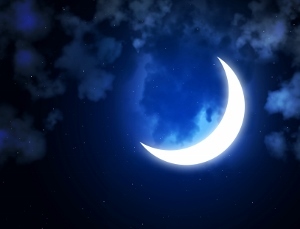 Want to read about the other two types of “moonlighting” brokers? Click here. Have you tried to buy or sell a business using a real estate agent and have a story to share? Do you have more questions about the differences between a real estate agent and a business broker? Please leave any comments or questions here! Why did we say “real” business brokers? Unfortunately our industry looks to those outside it as something other professionals can do on the side or as a part-time diversion. Nothing could be farther from the truth, and if you end up working with a “moonlighting” business broker instead of the real thing, then your chances of a successful transaction are slim to none. There are typically three types of “moonlighting” brokers – the real estate agent, the lawyer and the random professional. We already looked at real estate agents in the previous article, so let’s look at the next two types of offenders, the lawyer and the random professional. Unlike real estate agents, lawyers are much better at the confidentiality aspect of business sales as confidentiality (attorney/client privilege) is something that is built into their own business model. As we discussed in the previous article (read it here), confidentiality is the only way to ensure that a business survives the transaction process and has a chance to get to a closing table. What lawyers are also good at? Protecting their clients from any and all legal harm. While this might seem like a good quality to have during a business transaction, in the business market the opposite may be true. If your lawyer’s job is to protect you from any and all risk, then how can they help you in a business transaction when every business deal comes (inherently) with at least a bit of risk? The short answer is they can’t. We’ve seen attorneys talk their clients out of perfectly good business deals because there was a slight chance that the business could fail, the numbers wouldn’t meet projections or there was a clause in the lease (a very standard commercial lease) that the attorney didn’t like. Businesses are risky. It’s just part of the game. If you take over a business and then do nothing to keep it growing, then of course it will fail. Future projections are just that, projections. Contracts and leases are full of things that would make attorneys nervous because they are written to protect both sides of the deal, not just their client alone. We’ve even had attorneys who advised their clients not to sign our non-disclosure agreements (that are the standard form many in our industry use). You absolutely need a business transaction attorney at your side when you buy or sell a business, and you should listen to all of their advice. The point here is there are many parts of a business transaction where a lawyer will be more of a hindrance than a help. Attorneys aren’t business brokers, so just like the reasons we gave for the real estate agents – pick someone to help you buy or sell a business who actually does this for a living and you’ll be far better off. This category is a bit more broad, but it has to be to accommodate the wide-ranging backgrounds of the “moonlighters” we come across. We’ve had dentists, neurologists, CPAs, corporate instructors – the list goes on – come to the table and try to present themselves as business brokers when in reality they are nothing of the sort. Would you go to a neurologist to fix a broken tooth? 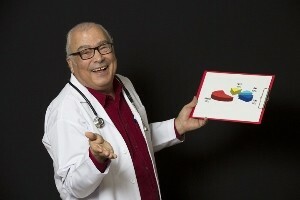 Would you come to a business broker with back pain? Absolutely not, but these professionals, while absolutely capable in their own professions, think they can make the transition to a completely different industry on a part-time basis. They definitely can’t. When someone from any profession outside of the business broker sphere tries to get in the game, they come up against many of the same issues that we mentioned in the previous article about real estate agents. Any good business broker will absolutely refuse to work with someone who isn’t in the industry, both for confidentiality concerns and also because it is nearly impossible to get a deal done when the other side has no idea what they’re doing. What should you do instead? Make sure you have a qualified and experienced full-time business broker at your side. You will save yourself a million headaches and do your transaction a favor by giving it the best chance of success. Want to read the previous article about the most common “moonlighting” business brokers? Click here. Have you tried to sell your business with the help of your attorney, CPA, etc. and have a story to share with other buyers and sellers? Do you have additional questions about the role of a business broker in your transaction? Leave us a comment or question here. The American small business economy was built on the backs of hard-working immigrants who came to the United States to make a better life for themselves and their future families. Even with this history, most business sellers have never thought of opening their business sale to foreign buyers. If you are looking to sell your business and haven’t yet considered overseas buyers – now is definitely the time to change that fact. For a foreign national to buy a business and immigrate to the United States, they must first find a business that qualifies for an investor Visa like the E2 Visa. This pre-qualification of sorts can be done ahead of time on a seller’s side so any foreign nationals looking to move to the U.S. can immediately consider your business. Not all businesses will qualify for an E2 Visa or other foreign investor Visas, but a good number do. The only way to find out if your business would qualify is to ask your business broker. Why is it a good idea to see if your business qualifies for foreign investors? Getting your business qualified for the E2 or another foreign investor Visa opens your business to a world full of buyers, and buyers looking to come to the U.S. are very motivated. There aren’t many brokers who are familiar with the Visa process or brokers who have connections with good immigration attorneys. 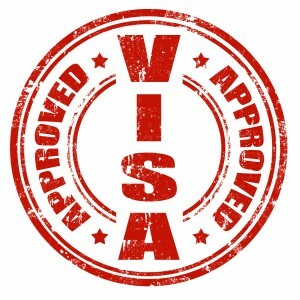 Ask your broker how many Visa transactions they have done, what kinds of connections they have with immigration attorneys and whether or not they have connections with foreign buyers. What about the Visa process? Won’t there be too many delays? Immigration or consulate-related delays are not as bad as you might think. The length of time it takes to get the Visa package through a consulate will vary and depend on the country your buyer is coming from, but a good immigration attorney or a good business broker familiar with the Visa process will be able to give you a ball-park figure of the length of time the paperwork will take. Most don’t take longer than a few weeks. How can I learn more about the E2 Visa and foreign investor process? 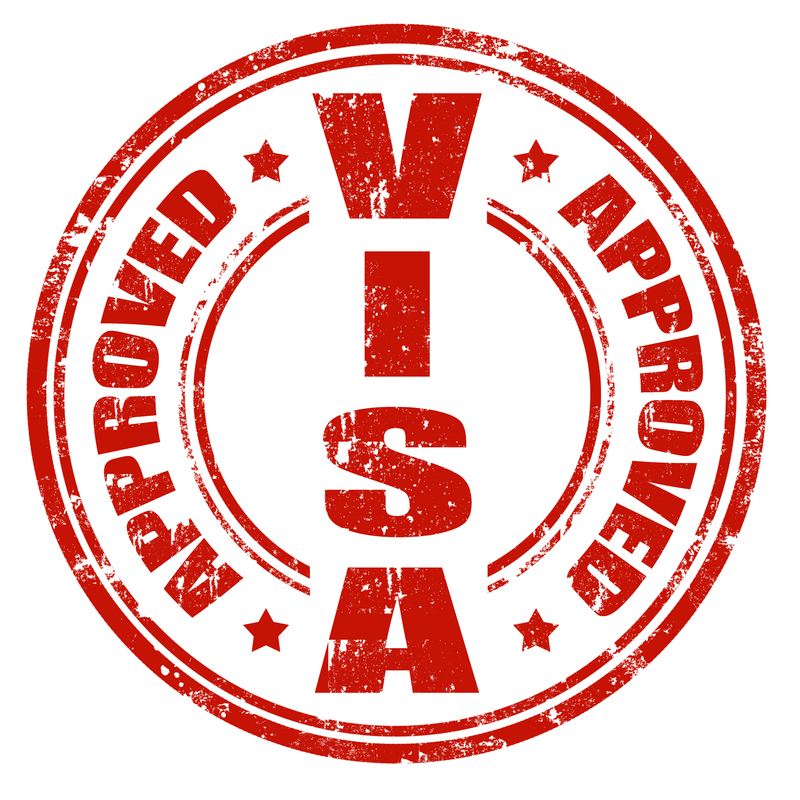 First, talk to your business broker to find out if your business would qualify for a Visa. Next, you can visit our foriegn investor site, E2Visa.com, to view the tutorial for foreign investors that explains the Visa process in detail (click here). You’ve found a business you like and you’re ready to take the next step – but before you start handing anyone your hard-earned money you want a good look behind the scenes and a thorough look at the books. It’s time for due diligence. For business buyers, due diligence is the step that allows them full access to a business – the financial records, contracts, leases, etc. This period of a business transaction is typically after a letter of intent (LOI) is submitted or after an initial offer is accepted. The length of the due diligence phase is something that can be negotiated, but is typically no longer than a few weeks. In that time frame both you and your advisors (like your business transaction CPA, business transaction attorney and your business broker) will be able to go over the business with a fine-toothed comb and see what you are actually buying. 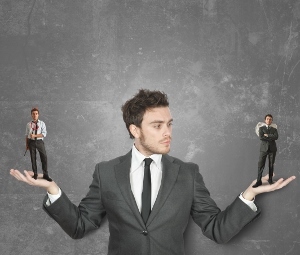 What should I be looking for in due diligence? This will very much depend on the individual business you are considering as well as the industry the business is a part of, but for the most part you will be looking for any potential issues or problems that the sellers weren’t forthcoming about. Some examples might include unpaid tax debts, more “handshake agreements” than actual written contracts you can count on, pending legal issues and the like. Use the experience of your advisors to determine if anything you find is a deal killer or simply something that warrants a renegotiation with the seller. What if I find a “deal killer”? If you find something during due diligence that makes you completely unwilling to go through with the sale, then you will absolutely have a chance to back out of the deal. Keep in mind that businesses are inherently complex, and there is not a business anywhere that is completely devoid of any issues. Your threshold for issues will depend on what you are comfortable with, what can be negotiated and whether or not the funds are available to fix the problem. What if I didn’t find anything wrong, but something is making me uncomfortable with proceeding? Gut feelings about a business deal can both help and hurt your chances of getting a deal done. If you are feeling uneasy even after a thorough due diligence, now is the time to seek the advice of your business broker. Did they get the same uneasy feeling about the deal? Are you just apprehensive about making such a huge financial investment, or do you really have something to be worried about? Separating the reality from your own cold feet can be difficult to do, so asking your intermediary can be very helpful in this situation. A good broker won’t steer you wrong, as it is in their best interest for you to be happy and comfortable with the business you ultimately buy. You will need to sell again one day, and your referrals of other business owners you meet are your broker’s bread and butter. I know we agreed on an offer, but after due diligence I’ve changed my mind. What now? If something you found in due diligence warrants a renegotiation of price, then your advisory team will help you decide what the new offer should be. You should be prepared for at least a bit of back-and-forth, as most sellers will probably be unhappy when you decide to offer less money. Make sure your justification for the new price is backed up by whatever you found during due diligence and the renegotiation shouldn’t kill the deal. If you’ve completely changed your mind and now you definitely don’t want the business, you now have the opportunity to walk away. 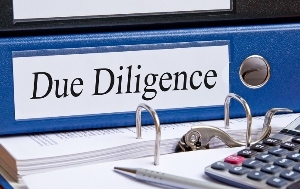 Are you a business buyer with more questions about the due diligence process? Have you been through this process before and have an experience you’d like to share? Please feel free to leave any comments or questions here. We love entrepreneurs, we’re entrepreneurs ourselves. It’s a tough club, and the personality required to be successful means business owners are tenacious, demanding and want things done their way and their way alone. Sellers call us at 6 am and 10 pm on a weekend or a holiday. If they call during the work week and we are in another meeting or on the phone (essentially the only reasons why we wouldn’t answer a call), they continue to call back repeatedly and send a litany of text messages demanding an answer to why we didn’t pick up the phone. When the first offers from buyers come in, sellers are immediately offended if the prospective buyer didn’t make an all-cash, full-price offer. They get completely annoyed when buyers have more questions or want to see additional documentation. They are furious if they don’t get immediate answers to counter-offers. Don’t get us wrong, we love the intensity, and sellers who are serious about selling their business are great to work with. All we are getting at? Be a bit realistic. You are (hopefully) not your broker’s only client. A great broker shouldn’t have more listings than they could realistically handle, but that doesn’t mean they should only have one. Multiple listings are actually good for your business. How? Many buyers will call on one listing, thinking that business is the one they want – but after a short conversation we discover that the business that would fit their goals most completely is yours. Your broker’s other clients include buyers, the people you are trying to find. Your broker should be spending a good deal of their time working with buyers, as finding a buyer is the whole point of listing your business in the first place. If all they do is list your business and never talk to, answer emails from or call back buyers – then your business doesn’t have a realistic chance of selling. You should be very happy if your broker spends a good chunk of the day talking to buyers instead of constantly talking to you – it means a greater chance of finding the right buyer for you and your business. Buyers are going to have questions – lots of them. Any prospective buyer could be on the verge of writing you a very big check, and as such they are going to want complete and constant reassurance that your business is the right business to buy. Businesses are inherently complex, and anyone new to the negotiating table definitely won’t know your business as well as you do. The best way to keep a buyer interested and assured is by staying forthcoming with answers and promptly turning over requested documentation, even if you feel like their questions and requests are redundant. Buyers are going to want to negotiate. Yes, it does occasionally and miraculously happen that a seller gets a full-price, all-cash offer – but don’t count on it. Most sellers end up getting fairly close to their asking price in the end, but getting to that last number is a process. A buyer who initially offers what you consider low-ball number probably isn’t out to offend you, they are just trying to get the most out of their money. Consider any offer as a jumping off point for negotiations and you will be far better off than if you turn down anyone who doesn’t give you exactly what you want. Selling your business is a very big deal, and you should be as passionate about the sale as you’ve been about your business from day one. Just remember that a business transaction takes a lot of moving parts, and most of those moving parts are people. Put your energy into being patient instead of putting your energy into fighting for everything to go your way (and your way alone) and you will have a far better chance of finding yourself at a closing table. Are you a seller frustrated with buyers who seem to want too much information? Do you want to know more about how we, as brokers, typically spend our day? Ask us! Feel free to leave a comment or question here.